Dental bridges are an excellent way to replace missing teeth. 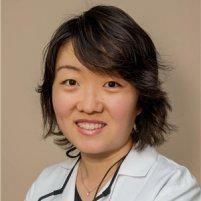 At Wintergreen Family Dental in Rockville, Maryland, Huixin Wang, DDS, provides bridges to “bridge” gaps in your smile and enhance your appearance. These custom-made prosthetics fit snugly in your mouth, preventing deterioration of your jaw bone and improving chewing and speaking. To find out if bridges are right for you, call or use the online booking tool today and schedule a consultation. A dental bridge is a set of prosthetic teeth that are used to replace missing teeth. Your existing teeth surrounding the gap in your smile function as stabilizing anchors to literally create a bridge of prosthetics crossing the area where your teeth are missing. The bridge is bonded with a special adhesive to these anchoring teeth. How are bridges made and placed? Bridges are made from gold, metal, alloys, or porcelain to ensure that they’re strong and durable. The process of creating a bridge begins by creating abutments out of your existing teeth where the bridge is attached. The existing teeth are recontoured to provide a base for the bridge. 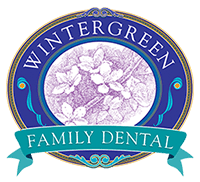 After the abutments have been created, Wintergreen Family Dental takes a mold of the area, which is sent to a dental lab. The lab is able to use the mold to create a bridge that fits properly and feels as close to your natural teeth as possible. The bridge consists of two crowns on either end to place on the abutments and a pontic — the new tooth that replaces your missing tooth. Dr. Wang fits you with a temporary bridge while you wait for the lab to craft your permanent bridge. This protects the abutments and the exposed gum areas and looks more appealing than having a missing tooth. When the permanent bridge has been created, you have a follow-up visit to set the bridge. It’s placed on the abutments and Dr. Wang then uses an adhesive to make sure that the bridge is set. How will I adjust to my new bridge? After the initial phase, you’re able to eat whatever you want with no issues. Why should I consider a bridge to replace missing teeth? If you’re missing a tooth or multiple teeth, you should strongly consider replacing any gaps in your smile with a bridge. Besides the aesthetic disadvantage of missing a tooth, it could also cause structural changes to your mouth and jaw, including shifting teeth that lead to bone loss or severe tooth decay. A bridge can also improve functions affected by missing teeth, such as chewing, speaking, and digesting. Set up an appointment today by calling or using the online booking tool to learn more about how to restore your smile with a new dental bridge.